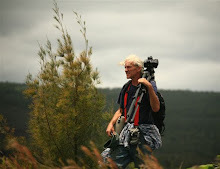 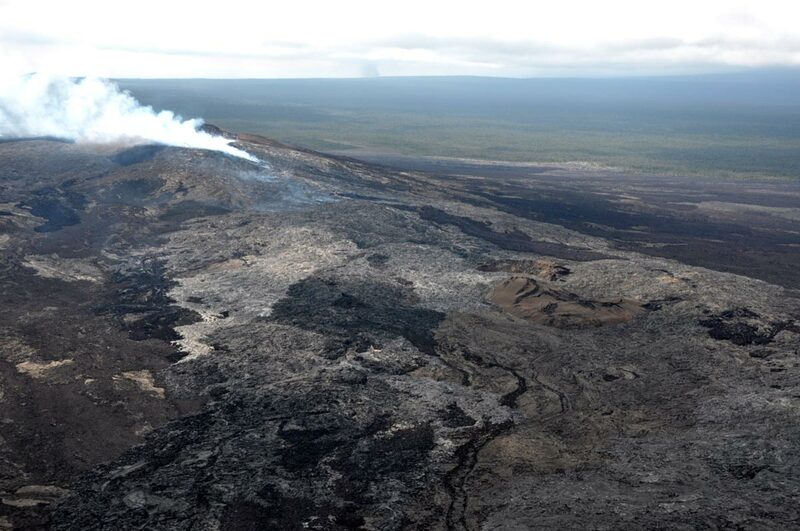 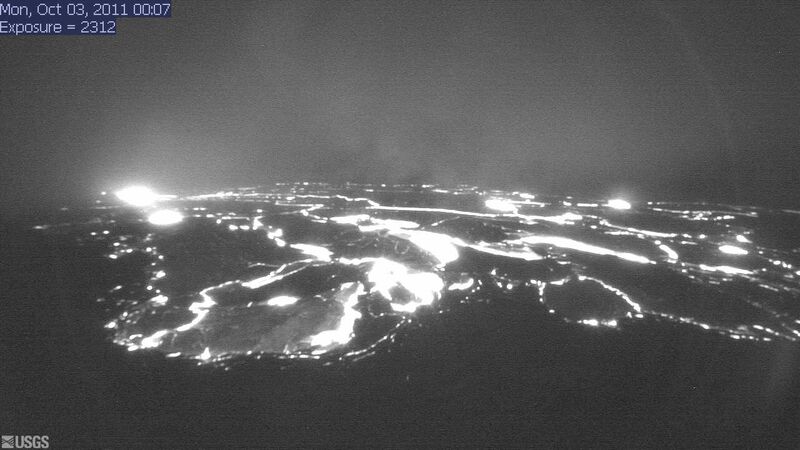 Kilauea continues erupting with lava within both the Halema’uma’u and Pu`u O`o craters. Halema’uma’u has a 500-foot wide crater floor vent that broils fairly steadily with active lava at around the 250-foot depth (recent dusk cam shot below). Pu`u O`o crater has been going through cycles of heightened activity and quieter days in the past weeks with lava breakouts within crater walls (image below). (Cam at midnight Oct. 3rd) ... and surface flows down its flanks. 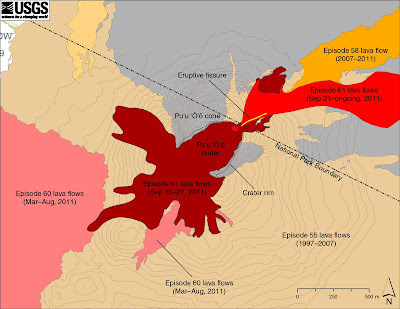 The activity at both craters has risen and fallen pretty close to the inflation/deflation magma pressure cycles, as displayed on tilt graphs (today's below), with the most pronounced activity being displayed at Pu`u O`o. 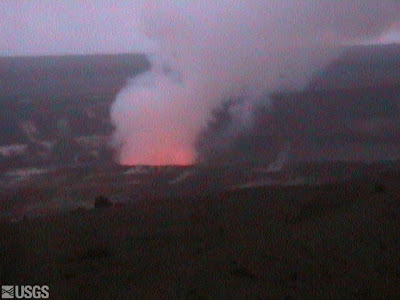 Pu`u O`o’s crater floor has sagged and refilled a few times during the ebb & peaks, while its surface flows have roared hot and heavy at times. 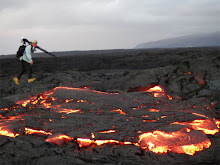 During more intense surface activity the reflective glow from the molten lava can be seen for many miles after dark. 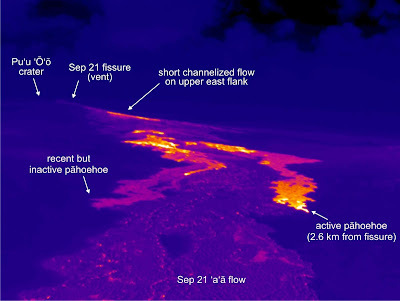 Thermal imagery from October 7th clearly shows Pu`u O`o flank hot zones: Due to the cyclic nature of the magma pressures feeding surface flows the down slope movement of the lava has cooled between events and has not advanced significantly over the past weeks. 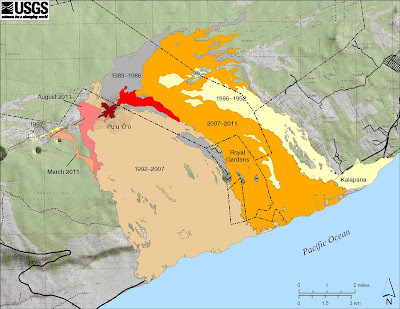 zoomed view of the USGS/HVO updated flowfeild map. 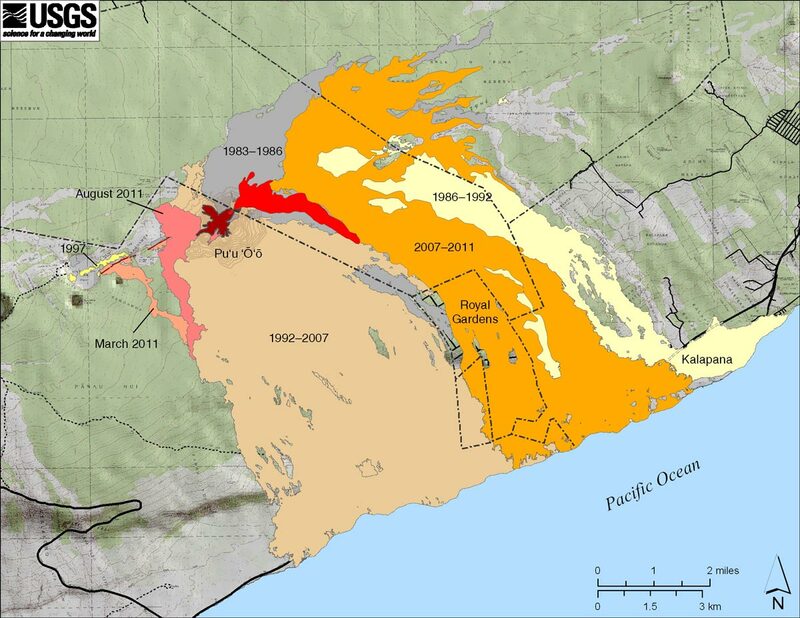 I would expect that if there were to be a large and prolonged rise in magma chamber pressures there may be a corresponding advancement of lava down toward the Pulama Pali or Royal Gardens areas. 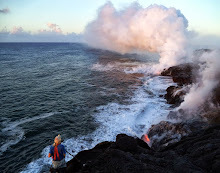 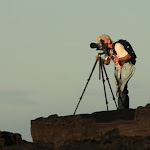 … Meanwhile you can keep informed by checking in with the informative web page links on this page of USGS/HVO. 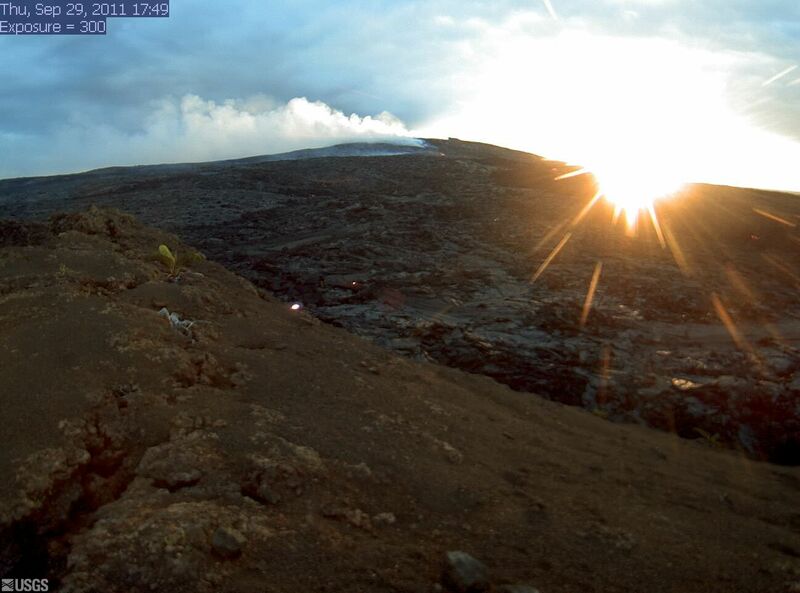 Above is a webcam capture of Pu`u O`o looking west as the sun sets into it a few days ago.